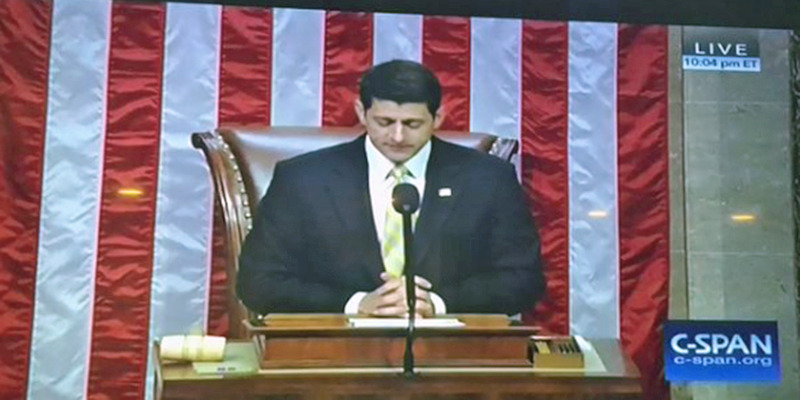 Screenshot via TwitterPaul Ryan speaking on the House floor. House Democrats involved in an unprecedented protest on the House floor shouted down Speaker Paul Ryan as he attempted to bring the group to order. 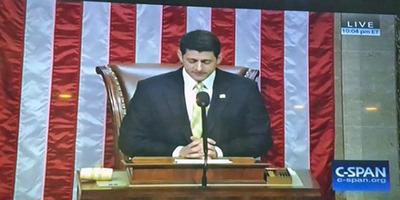 Democrats conducting a sit-in in an effort to force a vote on gun-control legislation shouted “No bill, no break,” as Ryan appeared to officially scold his Democratic colleagues Wednesday evening.